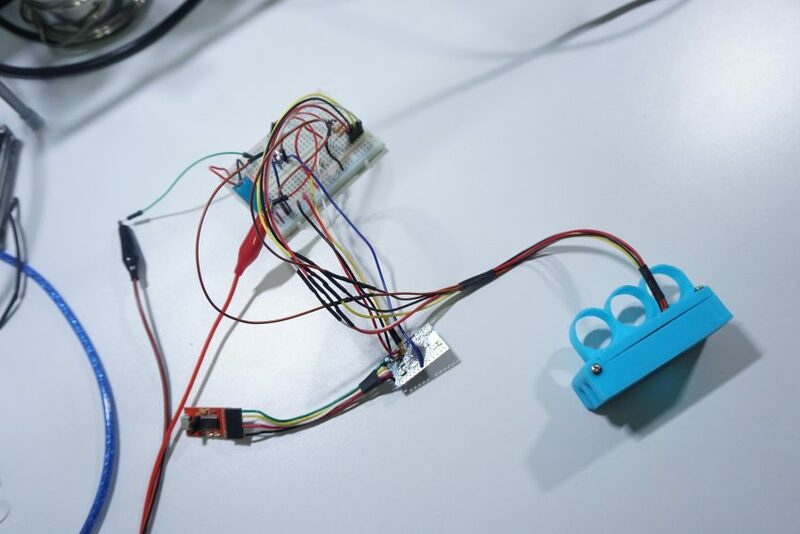 When You Want Tech Bling on Your Fingers #WearableWednesday #wearabletech #tech #DIY #3Dprinting « Adafruit Industries – Makers, hackers, artists, designers and engineers! Here’s some bling with tech appeal, especially for those that favor large rings. 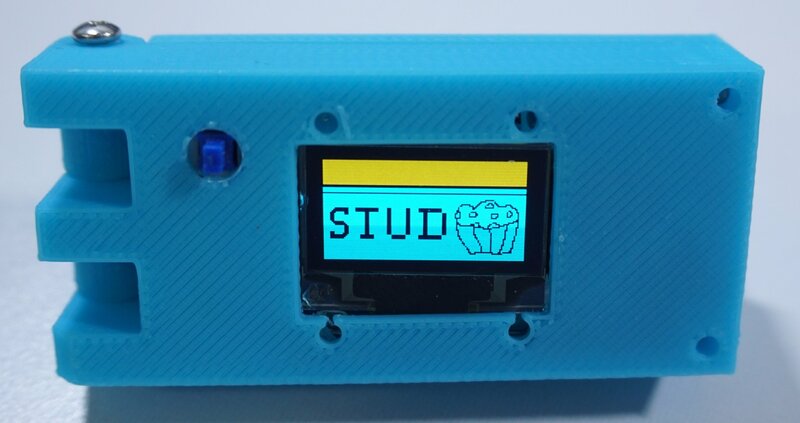 This beauty by Cabe Atwell gets attention with its 3D printed case and color coordinated OLED screen. His screen is rather unusual as it has three color bands permanently on the front, allowing for black text/graphics. His tutorial on Element 14 mentions getting an Adafruit OLED screen, as I imagine this vintage one is harder to find. 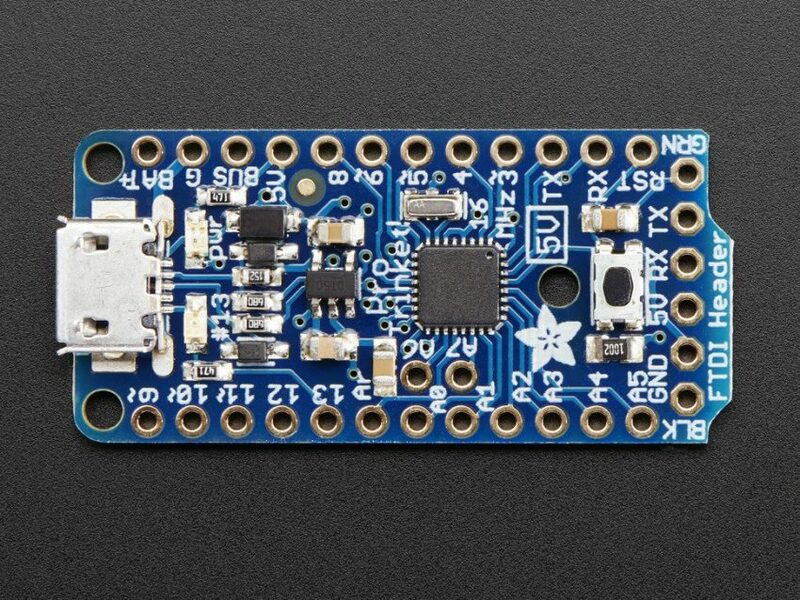 There’s more Adafruit inside with a Trinket Pro 5V microcontroller powered by two coin cells. It’s definitely a small package. Apparently Cabe imagined this ring for Geek Pride Day, but we all know that every day is filled with geek pride. Cabe’s Twitter feed revealed yet another image for the ring. Would that be a reference for studs keeping the case together? Speaking of case, if you don’t have a 3D printer, you can always get one printed at Shapeways. 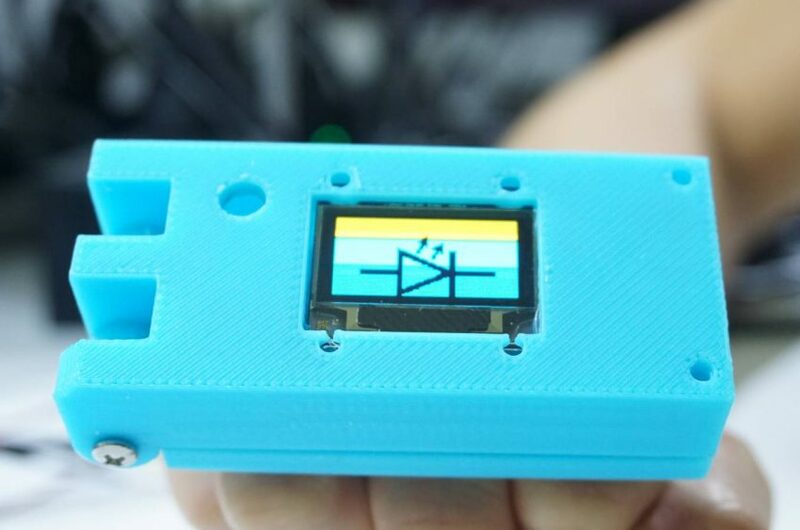 So far the tutorial for the project covers the 3D printing, so you still have the installment of the circuit and code to look forward to. It’s a crazy piece of knuckle decoration that is sure to get some awe from friends. I’m leaving you with the Trinket Pro 5V microcontroller so you can get a jump on the project. Have fun designing a ring with messages that will evoke smiles, and don’t forget to send us a pic of what you make.